The following parts are needed for all applications (shielded cutting, unshielded cutting, gouging) : Electrode, Universal (Part 220669, Item 18814#220669; Swirl Ring, Universal (Part 220670, Item 18814#220670); and Retaining Cap, Universal (Part 220713, Item 18814#220713). For regular cutting, additional parts needed include Cutting Nozzle, shielded (Part 220671, Item 18814#220671), or Cutting Nozzle, unshielded (Part 220718, Item 18814#220718) and Deflector, unshielded (Part 220717, Item 18814#220717). For gouging (going less than all the way through the metal), additional parts needed include Cutting Nozzle, Gouging (Part 220672, Item 18814#220672) and Shield, Gouging (Part 220675, Item 18814#220675). 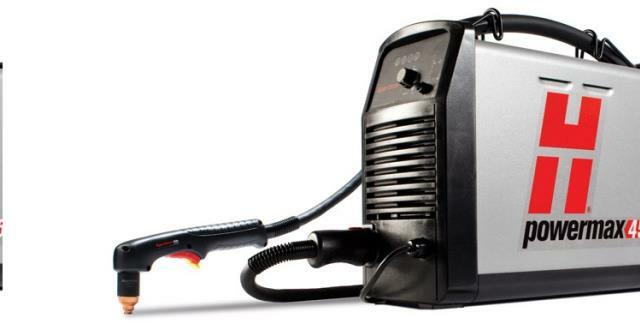 * Please call us for any questions on our plasma cutter 230v 45amp rentals in Tualatin and Eugene, serving the Portland Metro area, Eugene/Springfield Metro area, Oregon, and SW Washington.